LANCASTER, Pa., Aug. 23, 2017­ – United Auxiliaries to Lancaster General Hospital is thrilled to announce their $500,000 pledge to help build a Child Life Program in Pediatrics at Lancaster General Hospital. A Child Life Program provides specialists who are trained to help children cope with the stress and uncertainty of their life changing events. They focus on the psychosocial and developmental needs of children by collaborating with families and other health care providers. Children may confront a wide variety of stressful and potentially traumatic events that can overwhelm their natural ability to cope and heal. Experiences related to health care and hospitalization may lead to feelings of fear, confusion, loss of control and isolation that can inhibit their natural development and have negative effects on their physical and emotional health. The Designer Show House at Pineapple Manor, held November 2-12, will benefit The Child Life Program at Lancaster General Hospital, and is sponsored by Susquehanna Style, Lamar Advertising and Benchmark Construction to date. Pineapple Manor, originally named The Harnish House and constructed in 1885 for John S. Landis and S. Elma Landis, is located at 417 Manor Avenue in Millersville. 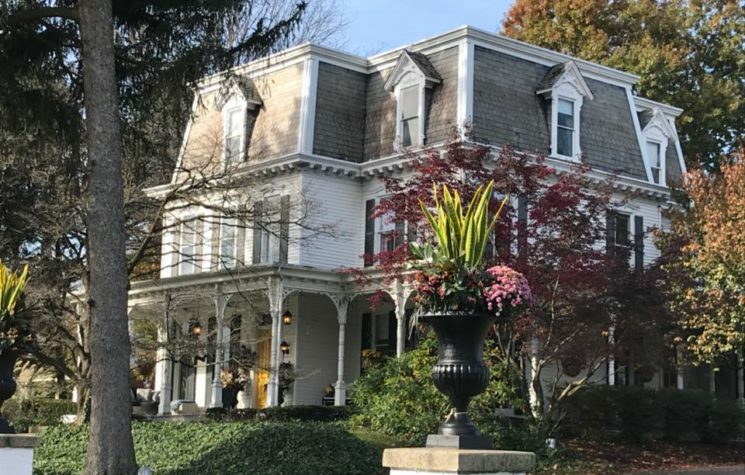 In 2016, Keely Childers Heany, editor of Susquehanna Style magazine, and her husband, purchased the residence and began their dream of reviving the landmark into a bed and breakfast. This special Designer Show House event will include tours at Pineapple Manor featuring different designers from the Lancaster County area. Designers include AK Interiors, Sandra Steiner Houck, David Lyall, Henrietta Heisler, JKS & Company, Interiors Home, Martins Appliances and Furnishings, and more. Vendors include Matilda Jane, Special Occasions, Miesse Candies, and Stella and Dot. During the Show House event there will be various events such as wine and chef tastings, a fashion show, and musical entertainment. The Show House will be held two weekends in November. Dates: November 2-5 and 9-12. Hours: Thursday and Friday from 11 a.m.-7 p.m.; Saturday and Sunday from 11 a.m.-4 p.m.
Tickets: $20 per person and proceeds benefit The Child Life Program. For more information about this exciting event, or for tickets, please call 717-544-4661 or email UAinfo@lghealth.org. Online ticket sales will be open closer to the event. Since 1947 the United Auxiliaries has raised over $10 million promoting and supporting Lancaster General Hospital through community outreach programs, volunteer opportunities and fundraising programs. The United Auxiliaries is comprised of volunteers throughout the community and continues to look for volunteers to join their membership.